Umm! !Happy birthday my dear friend Ajay.As you read this you will see many surprises.The other day me and More Orangee actually planned to gift something special to our good friend Ajay.But as we planned,the idea got flopped. Later on we planned to loot a bar shop.We both were dressed in suit and we both had a mask.Yes, you must have seen the news of 2 masked men looting a beer shop in Mumbai and yes the both were me and More Orangee. 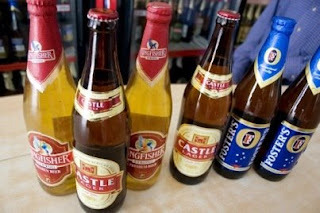 We didn't knew Ajay's favourite brand ,so we got few bottles from the shop.This is just for you Ajay.This is yours. And yeah we also saved your party expenses.You are my good friend Ajay.Friends,I really don't know what to say about this guy.He has shared all his secrets to me.Thanks to TechM who came to our college or else I would not have met this soul. Yes ,I got few more surprises for you as well.So here are your gifts.Enjoy!! Have fun! . OMG megan looks soooooooo foxy... luv her eyes..
god bless u guys..n ur friendship...! 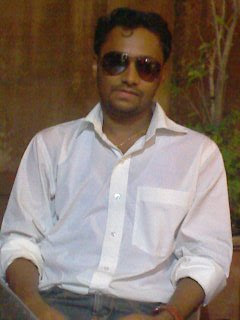 megan fox & genelia for my birthday.......man, ur my best frnd...u made my day ste!!! Congrats ! and best of luck for the future..
lekin doston k liye itna chalta hai ..
hope ur friend had a good birthday blast!